I’ve been building a new workshop. It’s been a challenge balancing working on the building and working in the building. My son, James, has been coming out to help me: we try to divide our time together between working on his projects and working on the shop. We’ve had a lot of fun together, and have accomplished a lot. In this picture you can see that we’ve finished the siding on the end of the building after a significant interruption. We still have to trim around the windows. 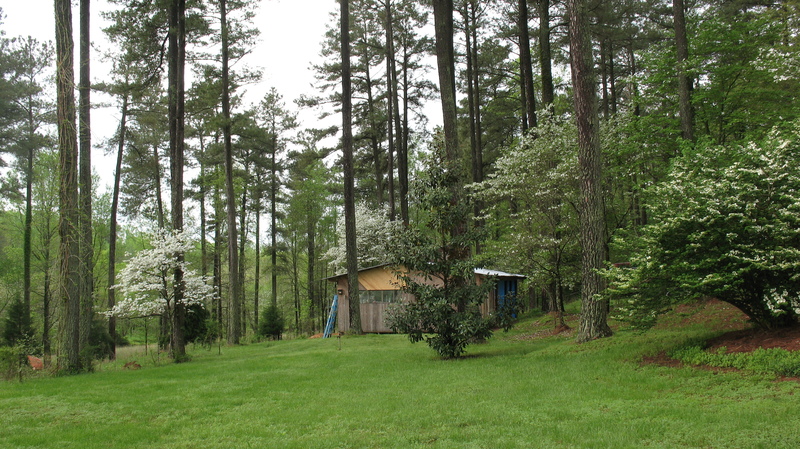 This week the dogwoods and doublefile viburnum are blooming so it probably looks the best it’s ever looked. This is the view from my house, so what you are looking at is my walk to work.